Google Play Store is filled with millions of app of various categories. Though many of the available apps are completely free to use however still there are thousands of apps for which you have to spend money, especially the games. Moreover, there are many anti-virus apps for which you have to pay for getting the premium services. So, guys just imagine that how cool it would be if you can purchase these paid apps without spending your own money. Confused? Actually, it is possible by one of the apps named, Google Opinion Rewards which helps you to earn free credits for purchasing any paid app. The best part is that Google Opinion Rewards is an app which is developed by Google. 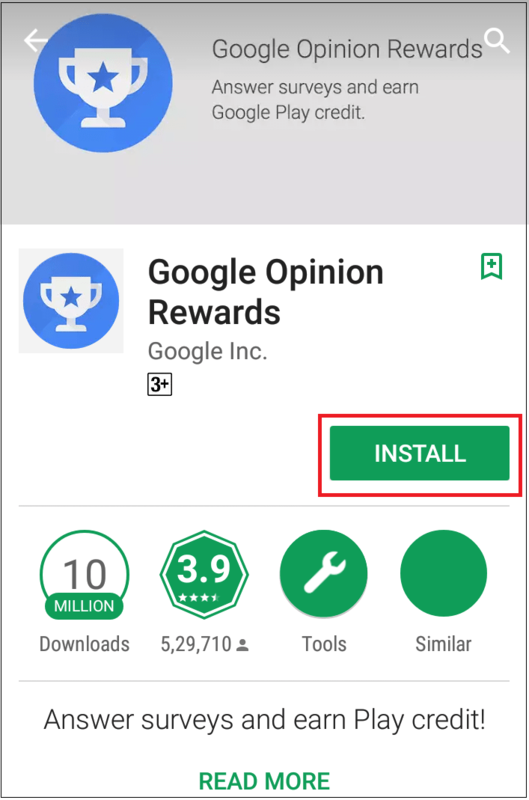 Open Play Store on your phone and search for Google Opinion Rewards. Now tap on Install to install the app. Once the app is installed it will show you three slides/screen, giving a brief description of its working. You can also skip this by tapping on Skip at the very first screen. 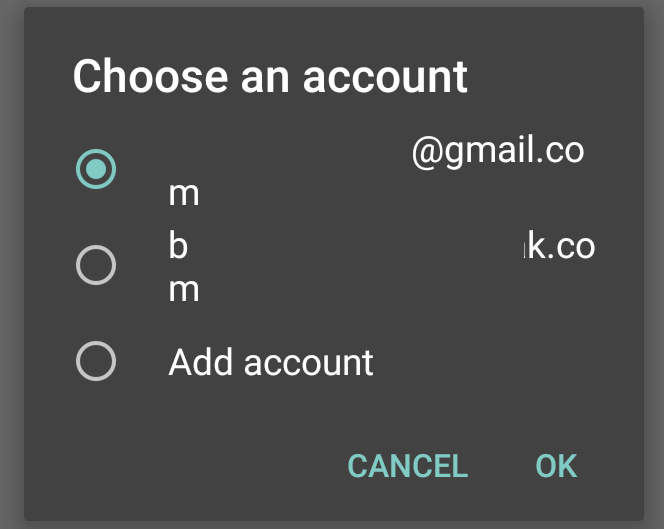 You have to now choose an email account to sign in to the app. In the next screen that appears enter your name followed by the Postcode. Once done tap on CONTINUE. Now in the next screen that appears you have to enter some detailed information like your Street address, Flat number, city name. Once you provide this information again tap on CONTINUE. 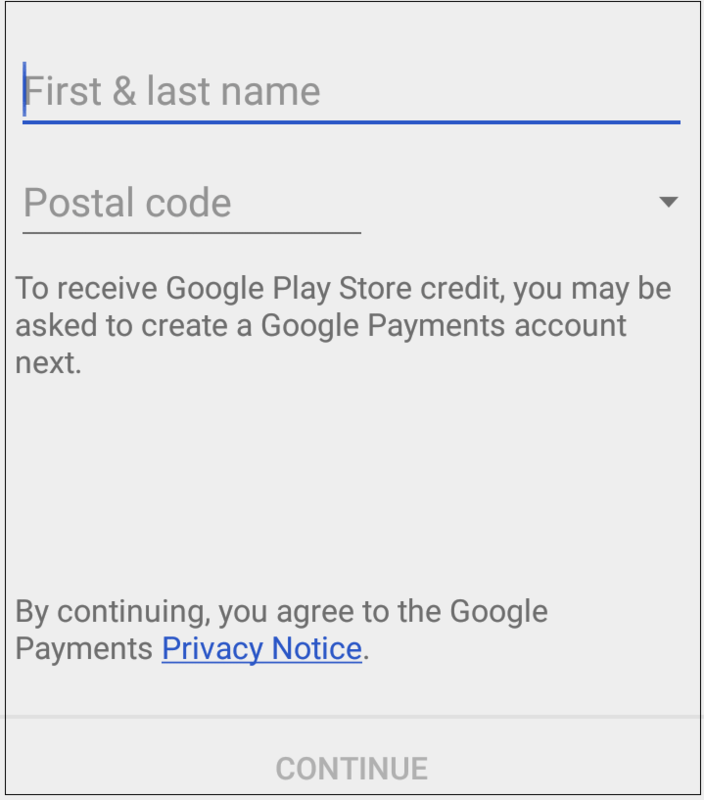 Now the consent page of Google Opinion Rewards app will appear. Tap on “I understand, please continue” and tap on NEXT button. Now the app will ask some more personal questions like your gender, age, postal code, your preferred language for the surveys and your average annual household income. If you are thinking that why so much of information is required, then I must tell you that this information decides the type surveys you will receive. Therefore, try to provide the correct information. Once you provide all the information then you receive this screen. This screen is a confirmation that your account is all set to receive the credits. Tap anywhere on the screen to dismiss it. 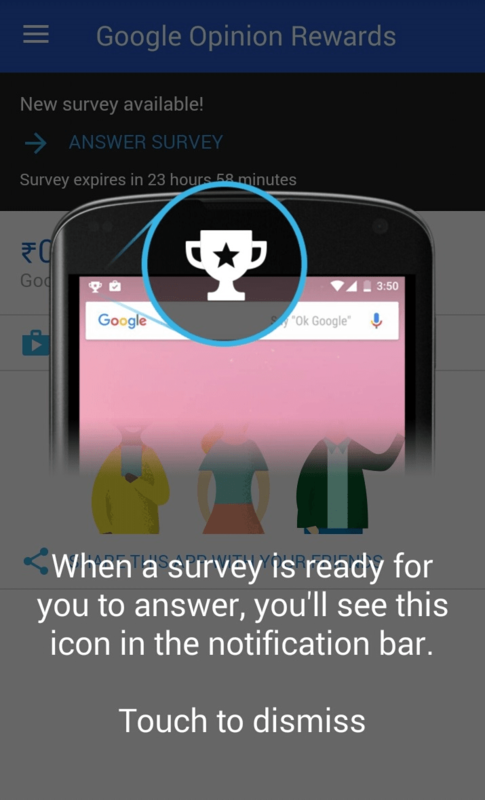 Now the app will instantly provide you a survey to answer. Click on ANSWER SURVEY to answer this survey. However, please note that this a tutorial survey I.e. 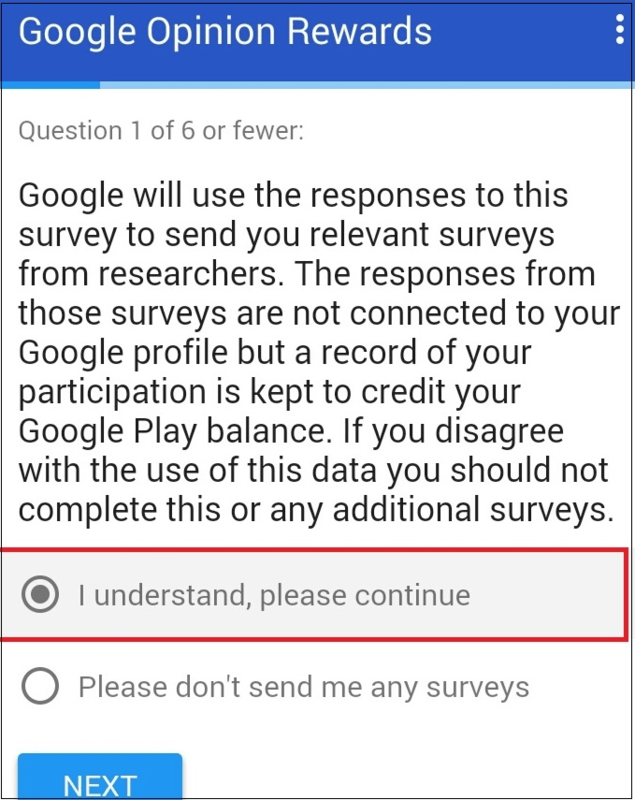 it is just an example of the type of survey you will receive in future. Also, no credits will be provided for this surveys, but you must take this survey seriously as your answers for this survey will be used to determine that if you are approved for getting more surveys. Now answer all the questions of this survey honestly. 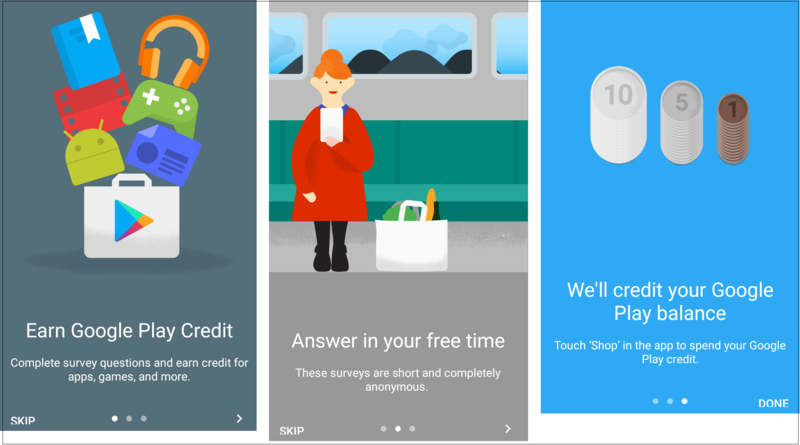 Now Google will verify your account and send the surveys once they are available. 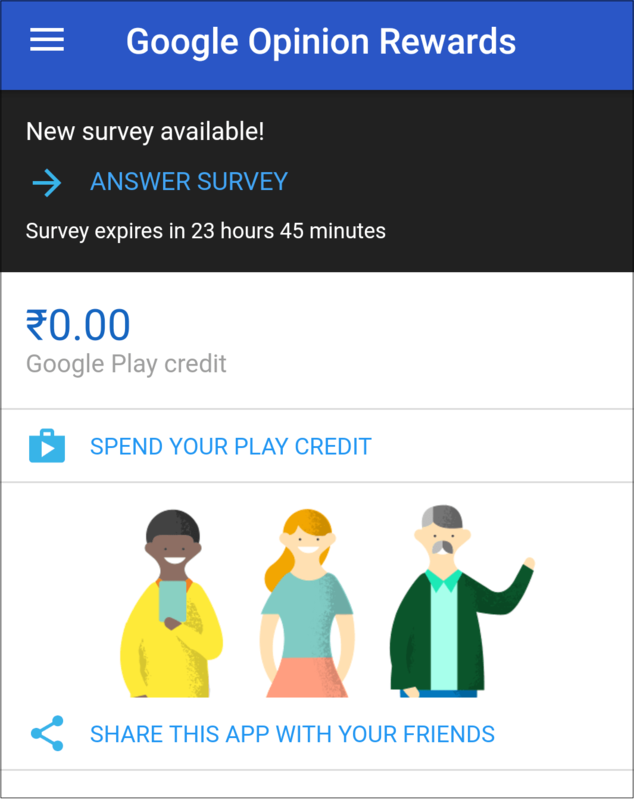 So guys, just install Google Opinion Rewards, answer surveys and enjoy your free credits for purchasing any app from the Play Store.